Prolash bottle is unusual – clear and quite big. You can see yellow semi-fluid substance inside the bottle so it is possible to check how much is left. The producer has shown the content of the bottle but there is a downside of such a solution. This colourless bottle fails to shield the enhancer from the sunlight and going off. Therefore, we should keep it in a cardboard box or dark make-up bag. 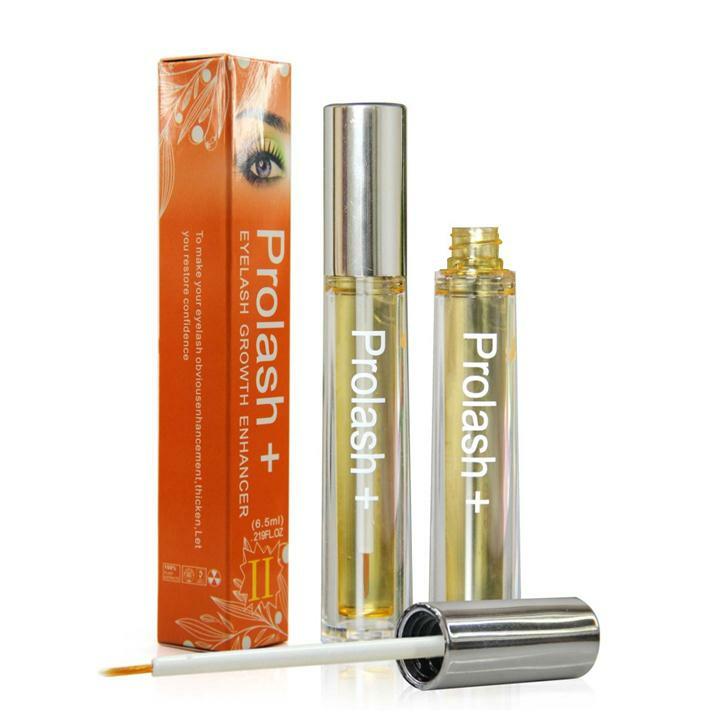 Prolash eyelash serum is based on delicate natural ingredients. Its main task is strengthening the eyelashes that fall out excessively due to past illnesses or poor diet. After 4 weeks, you can notice that the serum works: your lashes are stronger and don’t fall out during make-up removal. What is more, they are protected against the sunlight, low and high temperatures and toxins. Prolash eyelash enhancing serum has a stiff brush. The product is slowly absorbed. The bottle is plastic so you must be careful not to drop it as the plastic may break. Prolash eyelash enhancer must be properly stored so that it doesn’t go rancid due to the sun exposure. You must keep it in a dark cardboard box or make-up case. Don’t leave it in the sunlight because Prolash bottle is made of colourless plastic. The brush is a bit stiff. You must learn to apply the product to the lash line. If you apply too much, it drips off. Prolash eyelash enhancing serum is very fluid but it is slowly absorbed. That is why, it should be applied after an evening make-up removal.